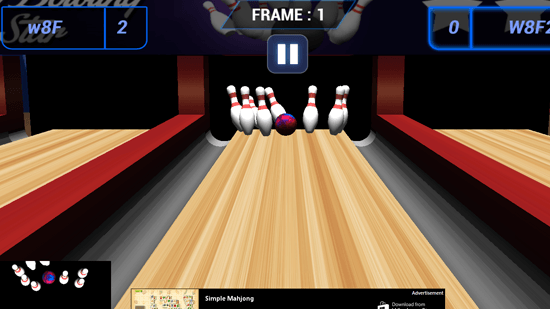 Real Bowling Star is a free bowling game app for Windows 8 and 8.1. If you love playing bowling game, then this is what you have been looking for. Real Bowling Star is one of the most realistic and 3D bowling game available to be played on your desktop for free. This bowling game features only one game play mode, it does not have many options to choose from to play. In Real Bowling Star, you can choose the ball by clicking on the ball when it asks you to choose the ball before starting any game play. There are three balls available to choose from, when you choose the ball, the chosen ball starts spinning fast on the screen. Real Bowling Star has been designed and developed very nicely. It has impressive graphics, the environment set by this bowling game makes you feel like you are playing in a real environment. The lane of the bowling game is simple yet good as a background. You can pause the game whenever you want to, leave the game in the middle if you do not feel like playing. The game has a good music playing in the background. It also has the sound of the ball thrown, bowling pins going down and other sounds as well. 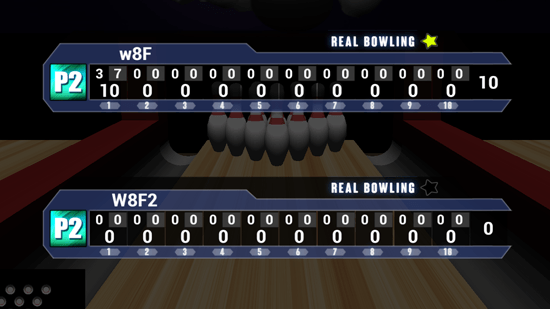 There is multiplayer mode for the game in Real Bowling Star. When you play the game, you play it against the opponent. On the startup of the game, Real Bowling Star asks you to enter the name of the first player then name of the second player. It also shows the scoreboard for each player after the ball is thrown, despite of the fact that it hit the bowling pins or not. Overall, Real Bowling Star is a nice bowling game app for Windows 8 and 8.1 which is not only free but is also interesting to play with your friends and family members.